The patterned papers are from Basic Grey, the blue cardstock is Bazzill, the balloons, party hat and cake are from a Cricut swap. 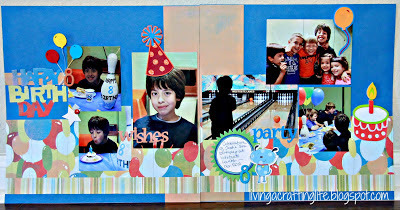 The acrylic "wishes" and "party" titles stickers are from Joann's (I believe their own brand). 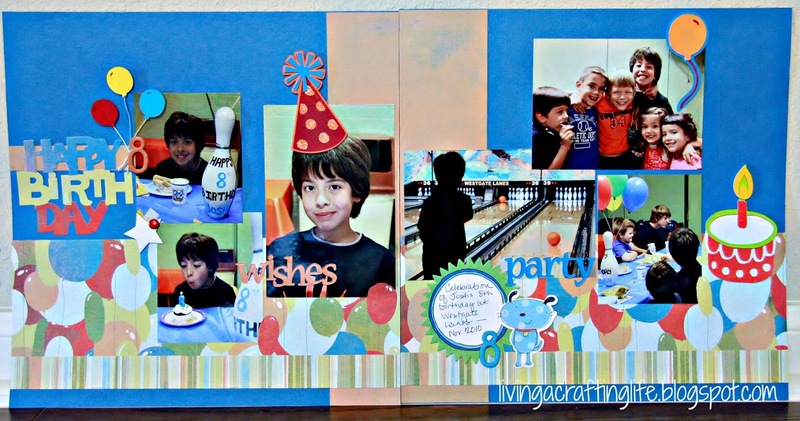 Because this layout is for my son's scrapbook, I wanted it to be fun, simplistic, brightand with more photos. This layout was also completed for the first challenge on the Basic Grey blog for National Scrapbooking Day. 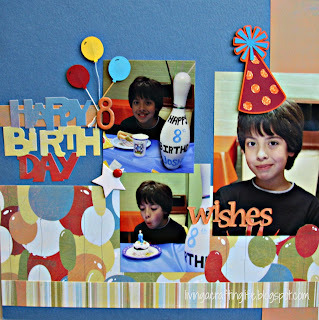 Their challenge was to: Create a project using a craft knife or scissors to cut around the designs on patterned paper. However, once I got started designing the layout, I completely forgot about the cutting! I finished instead by trimming around three of the balloons so that I could slide a photo into the slit. I hope you were able to get a lot accomplished yesterday -- but most importantly -- you had a wonderful time with your craft! This is a wonderful two-pager! 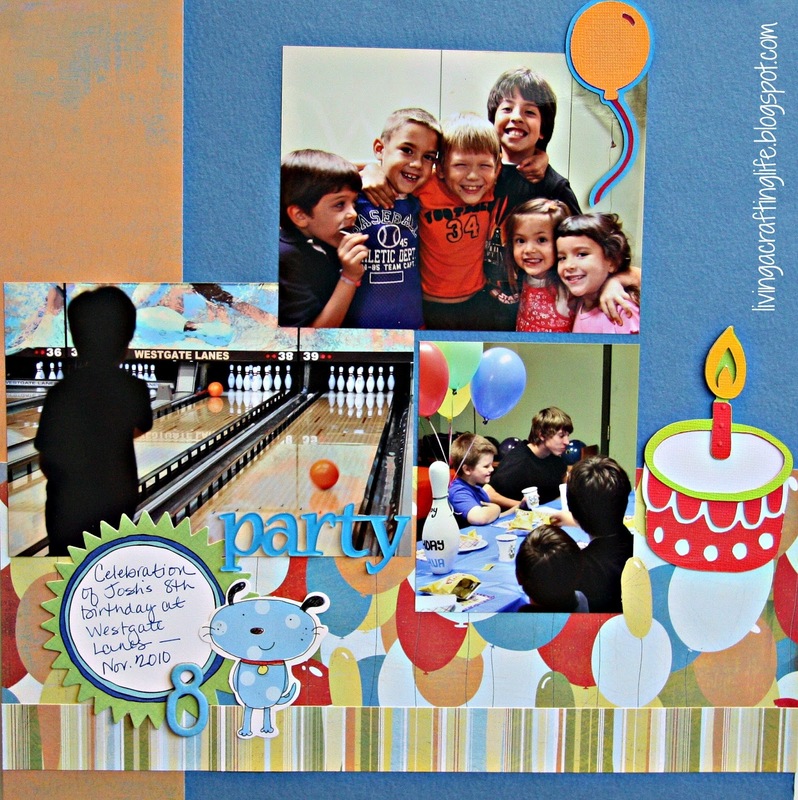 Such a fun and happy birthday layout!